Since 1926, MIL'S is designing, developping and producing vacuum pumps and blowers. 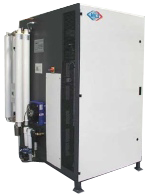 Our systems for production of air, vacuum and oxygen have already been installed in hundreds of sites all over the world for Healthcare as well as Industry applications. 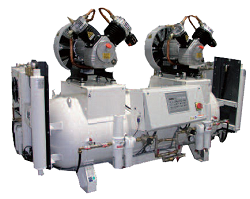 Our technologies (lubricated rotary vane pumps, oilless vacuum pumps, blowers, roots) allow us to answer to any requirement of vacuum solutions for Industry or Healthcare. MIL'S is ISO 9001, ISO 14001 and ISO13485 certified and answers to all quality criterias of a modern producer. MIL'S is present in the healthcare sector since 1960, when the first vacuum plant and the first medical air plant were to be installed in the centralized system of an hospital. Since that period, around 5000 world wilde sites have been equipped with our systems. 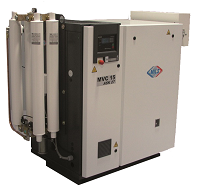 MIL'S offers a large range of products, from the vacuum pump, the compressor up to complete packages developped for applications fitting your requirements. Our range has received the medical CE mark according to the 93/42/CE european directive. 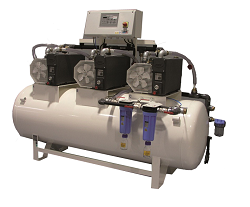 After a strong experience acquired in the production of adsorption air treatment lines, MIL'S launched in 2010 a new range of on-site medicinal oxygen generators named PRO2XY. Its operation is very similar to an adsorption air dryer. Designer and producer of complete vacuum systems for healthcare, MIL'S adapts its products according to your need. Plants are to be installed for different service needs as emmergency, neonatal, surgery, anaesthesia, intensive care units, resuscitation... Mil's design and produce different model of Vacuum system according to medical center needs.